You can invite Lowell Mims to minister to your church online! Please see the "Scheduling Information" below for details. Lowell Mims is an internationally known evangelist and church growth specialist whose travels have taken him into churches all across America and into many foreign countries. He developed and personally tested his concepts with tremendous success in a church setting in the U.S.A. He receives many invitations each year to speak in churches across America. His ministry includes Taking Your City For God Crusades, Church Growth Crusades, Seminars/Conferences, Revivals in local churches and crusade evangelism. Dr. John Hurston - Church Growth Consultant, Dallas, Texas... "The ministry of Lowell Mims can involve an entire church in sensitive evangelism that will cause continuous growth." Dr. John Vaughan - Assistant Professor, Church Growth, S.W. Baptist University. Author of The World's 20 Largest Churches..." Lowell Mims' church growth strategy will benefit any church to a ministry of multiplication, soul winning, and responsible church members." Pastor David Cross - Harvest Time Bible Church in Fairbault, Minnesota... "On the Sunday following the Church Growth Crusade with Lowell Mims, we had the largest attendance in the history of our church, as well as the largest offering." Pastor Ron Collett - Gwinnett Jubilee Church in Lawrenceville, Georgia..." Since Lowell held his first Taking Your City For God Crusade at our church nine months ago, we have grown seven times the size we were and moved into our third facility!!!" Pastor T. L. Lowery - National Church of God in Washington D.C..."God has given Lowell Mims the program that will bless any church. It does not matter what size the church is, if that body of believers will follow the program he has outlined, it will not only minister to them, but it will bring many new families into the fellowship. Without hesitation or reservation, I recommend Lowell Mims and his Church Growth Crusades to fellow ministers and fellowships throughout America." Lowell is known for his compassion and caring for the local church as well as world evangelism. Lowell Mims touches all parts of the world with evangelism. Whether it is an African missionary church, or a church in America, the entire ministry is dedicated to "Taking Cities for God by ... Building Spiritual Skyscrapers." 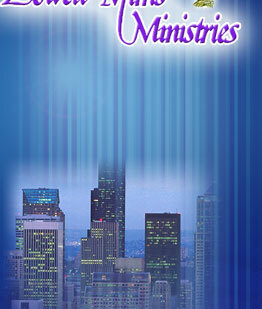 The ministry has no one person nor organization that underwrites its finances. It is solely dependent upon the love offerings of friends and partners in the crusades. At the conclusion of each service in which Lowell ministers, he will briefly share the purpose and plans of the ministry, then turn it to the Pastor who will receive the special love offering from that particular service. If there are two consecutive services (i.e. two Sunday morning services), the procedure will be duplicated in each service respectively. Occasionally there are meetings, such as banquets, etc., where the receiving of special love offerings would be inappropriate. In such cases, a special honorarium would be discussed and agreed upon, in addition to full airfare and expenses. Almost all travel is by air. It is an appreciated and accepted practice that the host church or organization take the responsibility of one full fare ticket (coach and round trip). It is requested that a hotel room be provided for the evangelist. Each church usually knows the means most effective in building enthusiasm for special services. We encourage the Pastor to involve as many different members of his congregation as possible in. . .
Special Posters throughout church/Sunday School Depts. When a mutual date is decided upon, you will receive a Promotional Pack via email which includes photos, a press release, ads, etc. You will be notified several days in advance as to the arrival and flight plans of Lowell Mims. If there is any information discussed in this brochure that creates a difficulty in booking for your local church please feel free to discuss it with us. CAN WE HELP ANY FURTHER? Lowell Mims is totally dedicated to the furtherance and blessing of the Kingdom of God. Do not hesitate to call us any time if we can be of service to you. The phone is answered 24 hours a day at 214-499-2589.